The outermost part of a cell is called a _____. What is the smallest cell in the human body? The first mammal to be cloned was called _____. You general knowledge is outstanding. You have the 3 qualities of biologists: perseverance, cogency, and patience. SHARE this biology quiz to test everyone you know. You’re widely-read and well-informed. You think actively, and always seek opportunities to enhance your knowledge. 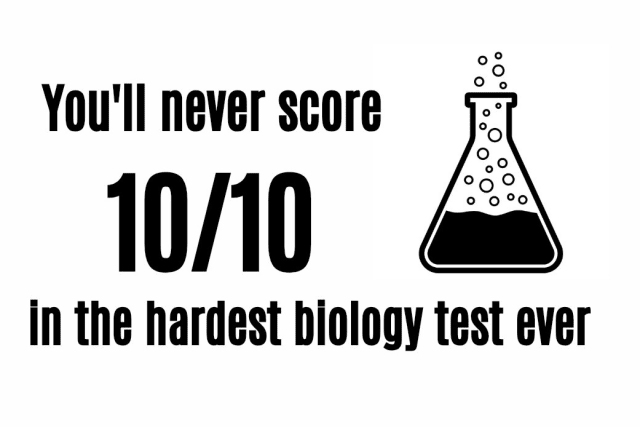 SHARE this biology quiz to test everyone you know. You know practically nothing about biology. NOTHING! You must be an artist. Let us know in the comments if we're spot-on.